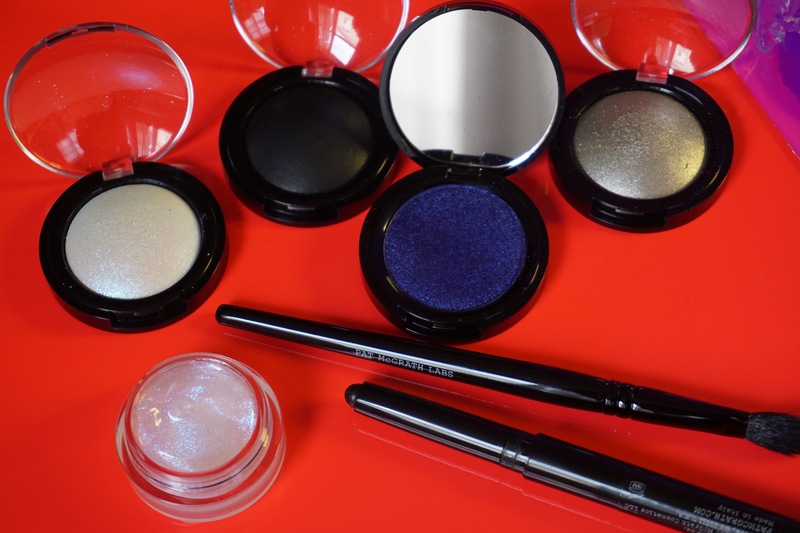 I went back and forth about spending $130 (yes girl, $130) on the new Dark Star 006 eye kit, sitting across from my co-worker and friend-boo in real life, Sarah. We both literally kept asking each other if we should buy it. It was so much money, but there’s something so significant and exhilarating for me about purchasing any and everything from the legend herself, Pat McGrath. One, because she hasn’t disappointed me with her past 5 collections. But, two, because she’s a black woman, and more importantly the most influential person in the makeup industry. A black woman is the most influential person in makeup. Let that sink in. From my initial obsession with beauty and makeup, McGrath has been at the top of the totem pole for whom I could only dream to “be”. Of course, I now know (and have known) that I don’t aspire to be a makeup artist. But, with McGrath literally one of the few (and I do mean few) Black women leading in the makeup industry, it’s hard not to feel the obsession flowing through my veins anytime she drops a new kit from her labs. If you’ve read BB before, you’d probably be able to tell that I’m not in the business of reviewing or writing about any and every product launch. That’s just not my beat. Not every product launch deserves a full-on writeup. Sorry, not sorry. But, ever since standing in line at the Union Square Sephora, purchasing the Lust 004 lip kit, I’ve been on edge to see what McGrath bound to do next. And that was Dark Star 006. A 3-option collection of eye kits with shadows and eye gloss so intense, I couldn’t resist. Would I frivolously recommend someone spending $130 on an eye shadow kit, per se? No. I’ll be honest. But for me, buying from the legend is more of an experience and a slight glimmer of hope that many other Black girls to follow in the love of makeup and beauty can leave a mark on such a selective industry. I take pride in knowing that the one and only Pat McGrath is a black woman who came into the makeup and beauty game and shook it up with her unique eye for color and grunge. She is the most influential person in makeup. But in all honesty, the purchase didn’t go down in vain. Dark Star 006 is actually an investment, so I’ve come to realize. I will rock this kit for as long as I can, and finish the product. You have my word. The UltraViolet blue pigment swept on my eyes smoothly, with minimal transfer to my under eye area (see the video below). Mercury and Astral White pigments are intense in color, just like their buildable UltraViolet Blue sister. The shadows last throughout the day, especially if you use a primer underneath. The texture of the shadows are like velvet and the packaging is glam and grunge. In other words, McGrath gets it, which is why I’ll probably keep sitting on the edge of my seat, waiting to see what she’ll bless the beauty world with next. Until then, check out some fun “review” videos I shot and let me know if you’ve invested in the new Dark Star 006 collection.